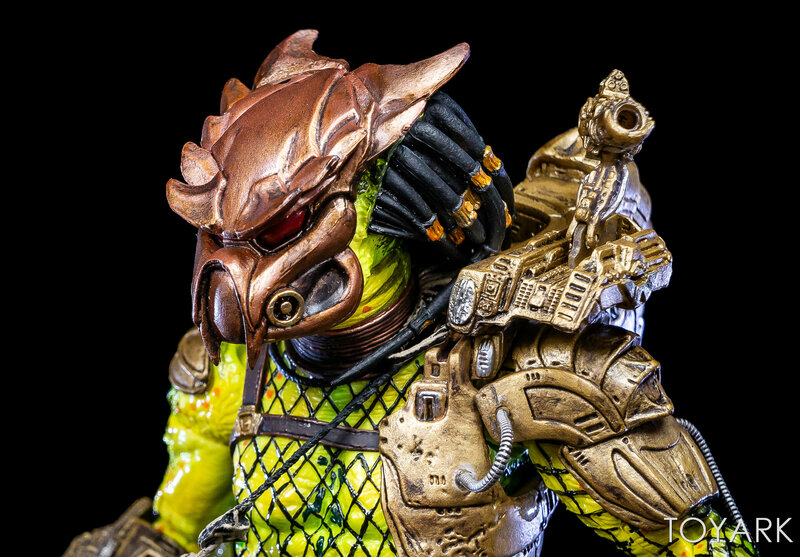 Looks great but the main reason I would get this is to transplant the parts from Wasp Predator onto this body It's a bit more of a greenish yellow but it'd work for me! I am getting SO sick of seeing the Jungle Hunter base body re-used over and over and over lately, but this is one instance where I'll bite. Admittedly this is definitely a character where it would have been strange for NECA not to use the JH body. If I didn't already have as many Predators as I do I'd probably pick this one up but I'm happy having Greyback as he appeared in the film. True, and I probably wouldn't have even cared if Ahab and Enforcer weren't just released back-to-back. It's just gotten to the point of overload, but like I said Greyback here looks so good I can overlook the JH re-use this time. Hey Joe...looks like the belt on your Bad Blood Predator broke! Shame they didn't make it stronger considering all the heads you have to hang on it. Yeah, on the last couple shots, but that one was my bad. I pulled too hard on it the wrong way while it was hooked on his hip armor. I didn’t realize it had snagged on the armor and the strap snapped. 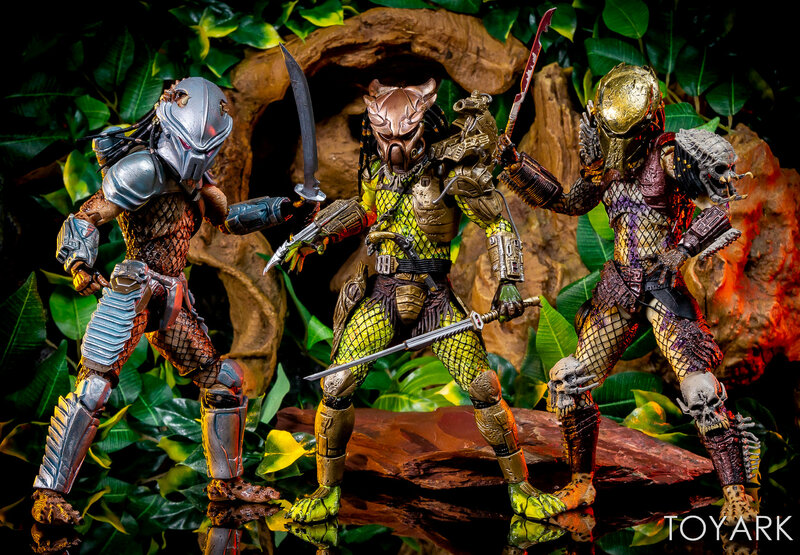 Jaundice Predator, now with extra hepatitis and optional failing liver accessory. i've kind of taken a small break with predators but with this golden angel and the target exclusive one..... yea i had to jump on them. Does anyone know if the colors he is sporting here the same as in Predator 2 or is it comic accurate only? Comic only. In Predator 2 he is old and mostly grey, hence the name Greyback. Tremendous photos. Looks great. I lean toward the smooth helmet over the knobbly one. Anyway, I'm down for one. This was one of my favourite short stories from the period when DH was cranking out some really top notch stories. Interesting update. Apparently, the one I was sent was still not 100% final. The retail versions will replace the plastic ring in his tusk (seen in my sample) with an actual metal ring.